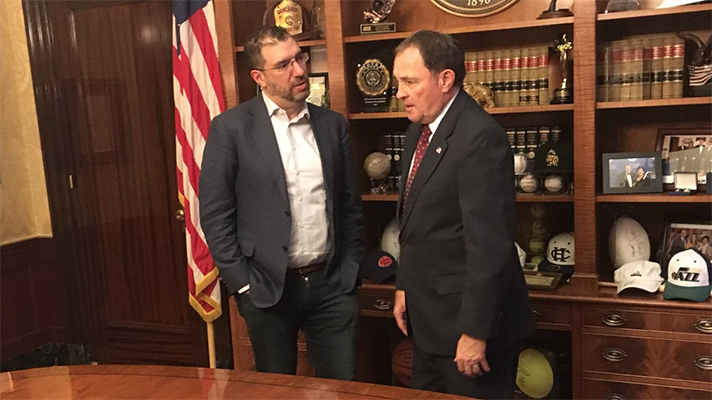 New partnership led by Andy Slavitt, Trevor Price and David Whelan plans to focus on innovation for the medically underserved. Former Centers for Medicare and Medicaid Acting Administrator Andy Slavitt and partners Trevor Price and David Whelan have created the venture capital firm Town Hall Ventures to help healthcare companies provide more affordable, quality care to underserved populations. Town Hall Ventures will invest in healthcare technology and service companies to improve care in Medicare, Medicaid, risk-based care, complex conditions and in addressing the social determinants of health, the new firm said in a statement. This includes a population of an estimated 120 million and approximately $1.2 trillion in annual healthcare spending. The new project I’m involved with to bring health care innovation to underserved communities takes a lot of pieces. The announcement during the HLTH Conference in Las Vegas this week coincides with the Centers for Medicare and Medicaid Services new strategy to focus on rural health services to meet the challenges of a population that CMS said tends to be more likely to be living in poverty, unhealthy, older, uninsured or underinsured and medically underserved. It follows Amazon’s initiative to offer Medicaid consumers a Prime membership discount in an effort, experts said, to capture the Walmart consumer. Two of Town Hall Ventures principals, Price and Whelan, have a background with Oxeon Holdings and that company’s work in setting up leadership teams for innovative Medicare and Medicaid companies, including Oak Street Health, a growing value-based primary care health system in which half of the beneficiaries are dually-eligible. Town Hall Ventures has been formed by partners who have a combination of entrepreneurial, executive, policy, regulatory, financial and investment expertise. As the former acting administrator for CMS, Slavitt has experience in Medicare and Medicaid. He is also a former group executive vice president at Optum, the business services arm of UnitedHealth Group. He is currently board chair of United States of Care, a national non-profit health advocacy organization he founded. Price is founder of Oxeon Holdings, an executive search and investment firm. Price will remain in his role as CEO of Oxeon Partners, where he has created leadership teams for companies such as Evolent Health, Landmark Health, Oak Street Health, Cityblock Health, Aspire Health, VillageMD and Bright Health. Whelan is managing general partner of Oxeon Ventures and was formerly general partner and CFO of investment firm Accretive. As a healthcare investor, Whelan has developed, launched and invested in a number of companies at Oxeon Ventures, as well as Sir Richard Branson’s Virgin Group as a founder of the airline Virgin America. The founding team also includes Investment Director David Mishkin, Director Natalie Davis, who is the former CMS senior advisor to Slavitt and Lauren Robb, investment senior associate, who was previously a director at Optum. Among Town Hall Ventures first investments are Cityblock Health, built in partnership with Alphabet’s Sidewalk Labs to provide primary care, behavioral health, and human services to address unmet health and social needs; Somatus, an innovative company revolutionizing treatment and new models of care for chronic kidney patients; Welbe Health, a provider of integrated medical and social services to frail seniors who qualify for Programs of All-Inclusive Care for the Elderly or PACE; and Aetion, a provider of real-world analytics and evidence to help biopharma companies and payers better understand how drugs work in the real-world to enable value based care. Town Hall Ventures is headquartered in New York and Minneapolis.